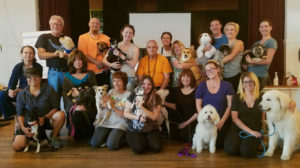 Our next Onsite Canine Massage certification class will run 09/01/19 – 09/14/19 in Ojai, California. The class will run 9am-6pm each day with one hour off for lunch. There will also be a 15 minute break in the morning and afternoon. There is no class on Sunday, September 08, 2019. The last day of class is on September 14, 2019 and will finish at approximately 12:00 pm. 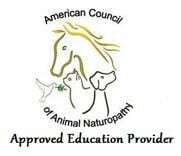 Please contact us if you are interested in hosting an onsite class in your area. We would be glad to work with you if there is enough interest in the specific class. Tuition cost for offsite custom classes, or workshops, may vary. Please inquire. 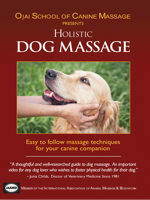 “I want to express gratitude and appreciation for offering such an amazing dog massage class. An experience of a lifetime! 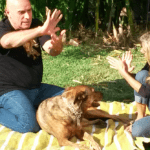 I am proud to say I learned so much through the Ojai School of Canine Massage. I feel that this experience has not only made me a better healer, but also a better person in general. Thank you! Thank you!” K.B.